The intention is to buy few of them to keep DIY stock supply handy. Integrated Circuit (IC) and Microcontroller, Programmable Microcontroller has difference, although they look similar and may be they are also “IC” in some way. IC weawre going to discuss usually nothing but just a circuit with basic electronic components inside in miniature form. Microcontrollers are usually more costly and function is different, complex. Here is a List of IC Which Are Commonly Used With Arduino With Function in Brief. IC can be Analogue or Digital. Since 1972, 555 is most popular IC on this earth. It can be used as timer, timer delay, for pulse generation, oscillator applications, as a flip-flop element. 555 name is funnily given, it has no meaning. We commonly use 555 Timer IC variant. It is a special type of amplifier circuit used since 1968. It is also common. 741 requires both positive and negative voltage, which is usually not common among IC. Essentially similar like that of 741. It does not need the both negative and positive voltage unlike 741. IC 4017 is another old IC from 1968 era. It counts pulses. That is why IC 4017 is decade counter. Commonly known as Motor Bridge IC, H-bridge motor driver etc. Name itself suggests what it does. It is comparator IC. It compares two voltages and switches digital output to indicate which is larger. LM339 IC is same but LM393 has two comparators inside. Simple voltage regulators as IC. They accept an input voltage and produces an output voltage of constant value. 7805 produces a 5 V output. Input voltage can be 9V to 35 V.
NE5532 is a good quality amplifier which can be used in both AC and DC circuits. It is very important IC as it is used in production for professional grade audio devices. It has 2 amplifiers inside. LM324 is similar but has 4 amplifiers inside it. It is also amplifier IC. It has one amplifier inside and suitable for medium audio output from a speaker, buzzer etc. This IC commonly used to drive large LEDs, small stepper motors, relay coils. It has 7 identical circuits inside it. It is digital IC. It can convert a digital response to null (1 to null) and vice-versa. Quite funny and interesting to use in circuit for getting shortcut, avoiding lot of coding. It’s common use is as port ex pander, like we discussed discussed how to increase the number of pins of Arduino. This Article Has Been Shared 5821 Times! Arduino TFT Touch Screen Calculator is an Easy Example of Practical Deployment of Programmable Microcontroller From the Libraries. 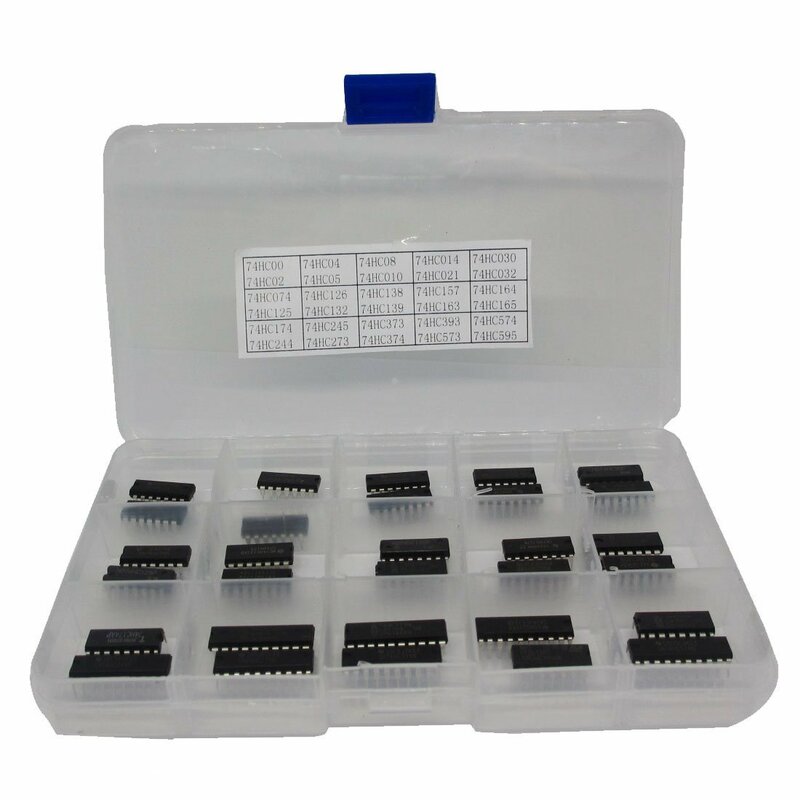 After Initial Days, Many Arduino Hobbyists Find Difficulty in Storing the Modules, Electronic Components, Tools. Here is an Article on DIY Electronic Component Storage Cabinet. Normally For Arduino We use Regular IR Distance Sensor Modules. Normally For Arduino We use Regular IR Distance Sensor Modules. Regular IR Distance Sensor Vs Sharp IR Distance Sensor Comparison Has Reasons For Features. Cite this article as: Abhishek Ghosh, "List of IC Which Are Commonly Used With Arduino," in The Customize Windows, May 4, 2018, April 23, 2019, https://thecustomizewindows.com/2018/05/list-of-ic-which-are-commonly-used-with-arduino/.